Welcome to a new podcast featuring some of your favorite Films from the Basement crew members. We have so much fun talking about films each week, we decided we need more. Thus, Films from the Treehouse is born. Where Basement delves into some of the more unknown, obscure, or just downright terrible films, Treehouse will be something different. Each month we’ll have a theme and pick all sorts of films for discussion. Come have a listen and we’ll tell you more about it. Continuing mythology month Rich picked Trollhunter. Jesse returns after his hiatus to join for this Norwegian fantasy mockumentary. The government says there’s nothing to worry about it’s just a problem with bears making trouble in the mountains and forests of Norway. But local hunters don’t believe it and neither do a trio of college students who want to find out the truth. Armed with a video camera, they trail a mysterious poacher, who wants nothing to do with them. However, their persistence lands them straight in the path of the objects of his pursuits: trolls. They soon find themselves documenting every move of this grizzled, unlikely hero the trollhunter risking their lives to uncover the secrets of creatures only thought to exist in fairy tales. 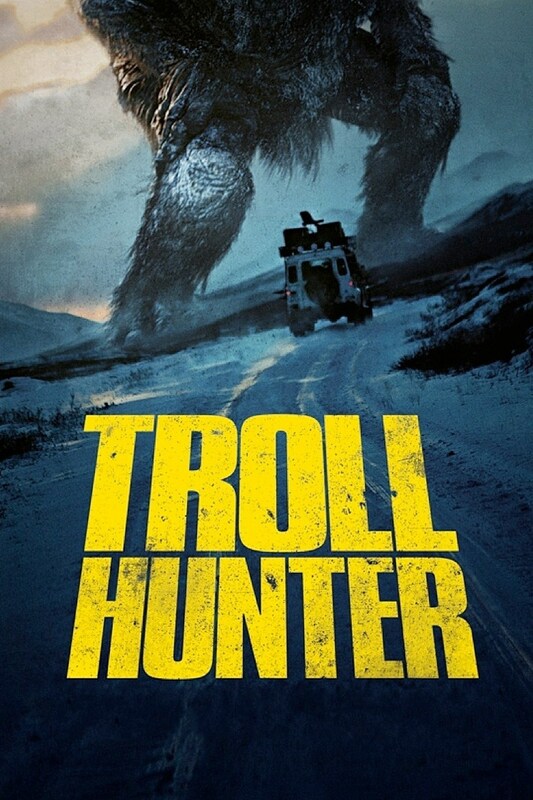 Trollhunter is available to stream on Netflix or you can always grab the Blu-ray.